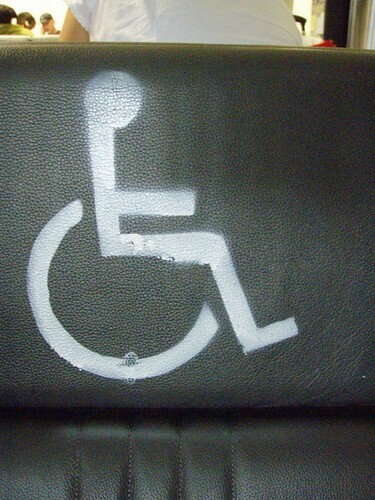 Passengers will continue to exploit the system and disrespect the disabled but the alternative — requiring wheelchair users to prove their malady — is a poor solution. Passengers with reduced mobility (PRM) are entitled to free assistance, and are permitted to cut queues at the airport. Support can be requested at the time of booking, or during check-in, but passengers are not required to present proof of disability, prompting unscrupulous able-bodied travellers to exploit the policy. Fliers use a wheelchair to board a flight and walk off fine on these “miracle” flights. Photo by Daniel Lobo. The practice is becoming so common that airline staff have coined the phrase “miracle flights” to describe how some travellers require a wheelchair to board the aircraft, but depart without it. She added that disabled travellers are usually the first to board the aircraft, but the last to depart, meaning the deception only benefits the passenger on departure, not arrival. Although national statistics for PRM requests are not available, ISS World, which provides assistance at Stansted, said the number of requests had increased annually by between eight and 10 per cent in recent years.